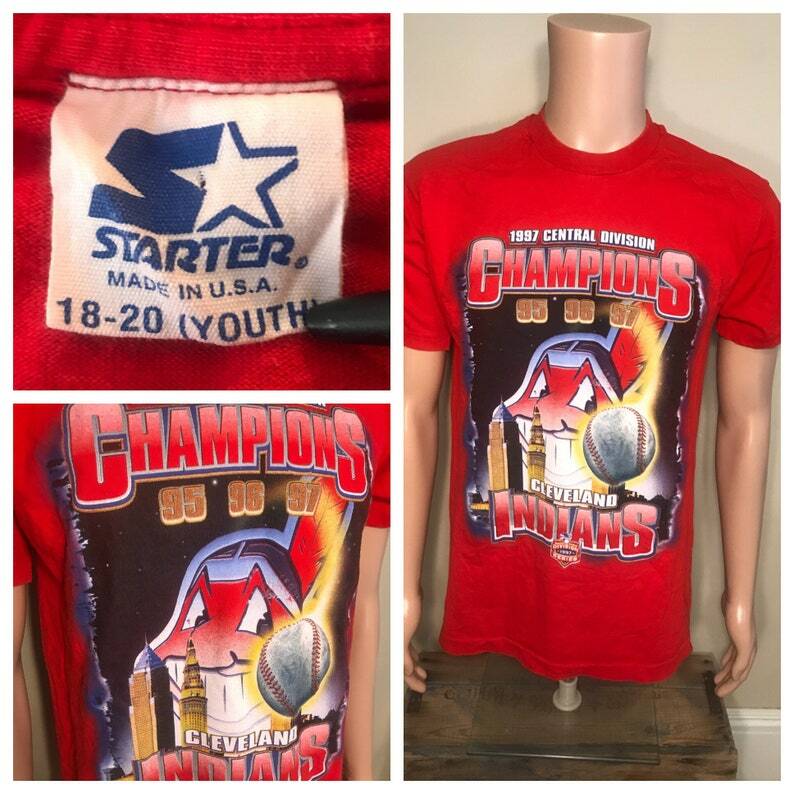 Cool old Indians shirt. Youth size XL but fits like an adult small. Shown on an adult mannequin. Shirts in great shape. Check out pictures to see what you get. Normal fading/wear for its age. Item measure 20" armpit to armpit and 29" in length.